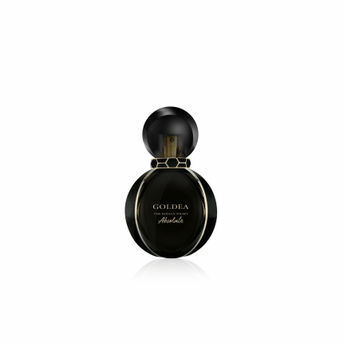 Goldea The Roman Night Absolute an Eau de Parfum epitomising sensuality. A fragrance with endless possibilities, captivating the daring, the intensity and the tension of a Roman night. Created by Alberto Morillas, Goldea the Roman Night Absolute is a hypnotic modern elixir, a Chypre Musk with exhilarating power. Bvlgari Goldea The Roman Night Absolute is a fragrance created for stylish, charming women. About the Brand: Italian luxury label Bvlgari brings the excellence and savoir-faire of its unique jewelry heritage to every fragrance. Uniting talented designers and creators with prestigious perfumers, each Bvlgari fragrance is an expression of luxury - capturing the brand's refinement and elegance. Explore the entire range of Perfumes (EDT & EDP) available on Nykaa. Shop more BVLGARI products here.You can browse through the complete world of BVLGARI Perfumes (EDT & EDP) .Alternatively, you can also find many more products from the BVLGARI Goldea The Roman Night Absolute Eau de Parfum range.